DAMASCUS, Syria (AP) — The Syrian government on Monday blamed a rebel attack on a key power line for a blackout that hit Damascus and much of the country's south overnight, leaving residents cold and in the dark amid a fuel crisis that has stranded many at home. Meanwhile, Syria's main opposition postponed the selection of a prime minister and the formation of a transitional government to run the country should the regime of President Bashar Assad fall, highlighting the continued failure of Assad's opponents to unite behind a shared leader or vision nearly two years into the country's crisis. While Damascus's 2.5 million residents have grown used to frequent power cuts as the country's conflict has damaged infrastructure and sapped the government's finances, they said Monday that the overnight outage was the first to darken the entire capital since the conflict began. Also Monday, Syria's defense minister vowed the army will keep chasing rebels all over the country "until it achieves victory and thwarts the conspiracy that Syria is being subjected to." State-run news agency SANA says Gen. Fahd Jassem al-Freij made his comments during a tour to troops in action against rebels. Al-Freij, who took the post after his predecessor was assassinated in July, rarely makes statements. His comments came as activists reported air raids and shelling of different areas around Syria, including a helicopter raid in the northeastern town of Tabqa that killed eight people including two women and three children, according to the Britain-based Syrian Observatory for Human Rights. The blackout hit residents especially hard because of rampant fuel shortages and the winter cold that pushed temperatures below freezing overnight. Getting gas requires waiting in hours-long lines at stations, and cooking fuel and diesel for portable heaters has grown scarce and expensive — forcing people to find other ways to keep warm. "We covered ourselves from the cold in blankets because there was no diesel or electricity for the heaters," said retired teacher Mariam Ghassan, 60. "We changed our whole lives to get organized for power cuts, but now we have no idea when the power will come or go." At its height, the outage engulfed all of Damascus and extended to an area at least 50 kilometers (31 miles) north to the town of Zabadani and across the southern provinces of Daraa and Sweida that abut the Jordanian border. By midday Monday, power had returned to more than half of the capital, and Electricity Minister Imad Khamis said authorities were working to restore it in other areas. Syria's state news agency quoted him as saying that the outages were caused by "an armed terrorist attack on the main feed line." The regime refers to those fighting to topple Assad as "terrorists." 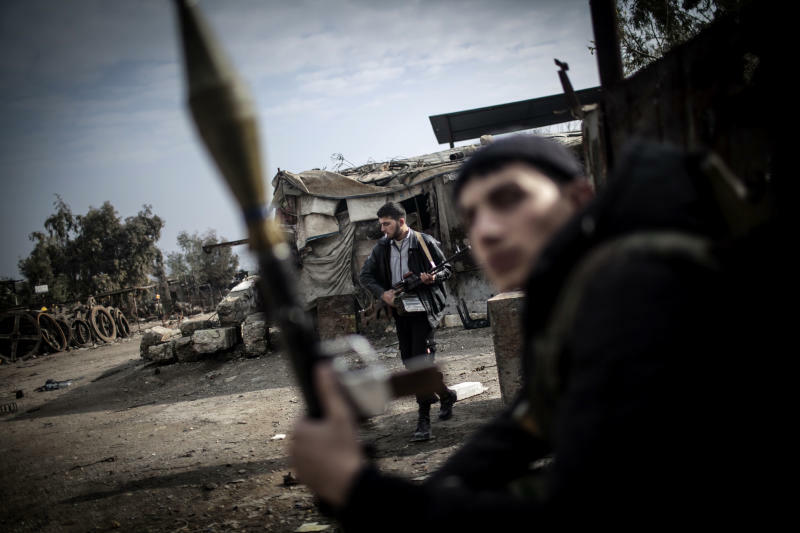 Dozens of rebel groups operate in the Damascus area, and the government did not name a specific group or give any information on where the alleged attack took place. No rebel groups claimed responsibility. 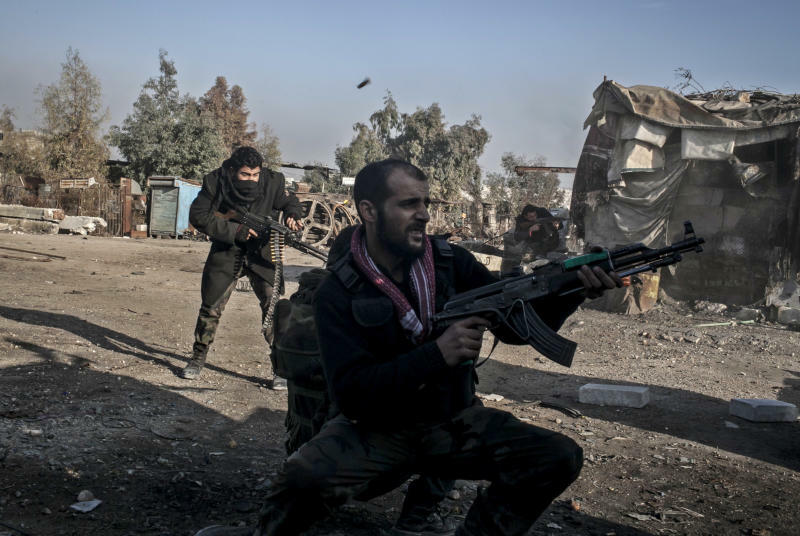 Other than a rebel incursion in July that the government quickly quashed, Damascus has yet to see the large clashes between Assad's forces and opposition fighters that have destroyed entire neighborhoods in other Syrian cities. The government still controls the capital with a network of checkpoints, but has faced mounting difficulty in providing basic services as the civil war drags on and sanctions imposed by the U.S., the European Union and other countries take their toll. For most Damascenes, the power cuts and fuel shortages are the most frequent reminder of the war that has engulfed much of the rest of their country. The government has fixed gasoline prices at about 75 cents per liter, but shortages mean residents must wait up to six hours in lines to fill up. "There is almost no diesel in the city," said a taxi driver named Wael, who gave only his first name for fear of government reprisals. To fuel his car, he gets to the gas station first thing in the morning and often waits until noon to fill up. Even then, the gas is rationed by the government to no more than 20 liters per person — meaning he'll have to wait in line again the next day. "I hate my job," he said. "I've been trying to find a new one but I can't. How am I supposed to feed my kids?" Cooking gas, too, has become a precious commodity, and people must wait more than two weeks to replace an empty bottle at the government rate of about $7 or pay as much as four times that on the black market. 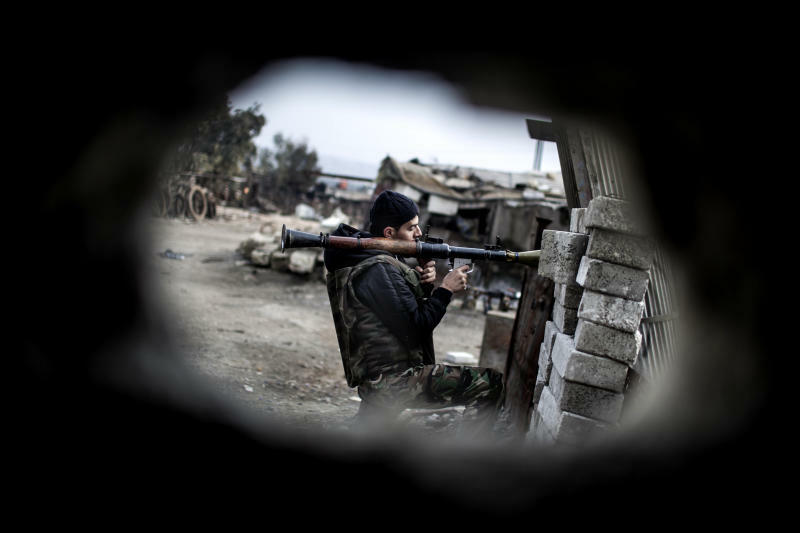 The situation is markedly worse in the suburbs ringing the capital, some of which are controlled by the opposition and are frequent sites of clashes between rebels and the army as well as frequent targets of government airstrikes. Some of these areas have had no electricity for months and have only black-market gas driven in from elsewhere. In the southwestern suburb of Daraya, where rebels have been locked in heated battles with the army for months, activist Amr Abdel-Haq said there had been no electricity for two months and that flour and cooking gas were nearly nonexistent. He blamed the government for Daraya's lack of electricity, saying the regime is punishing the suburb "because it is resisting and the regime forces have not been able to enter the city or take it over." "Daraya has become a city of ghosts, and only the rebels live in it," he said. It was not possible to verify the government's claims that a rebel attack was responsible for Monday's blackout. Both sides of Syria's bloody conflict, which the U.N. says has killed more than 60,000 people since March 2011, frequently blame each other when things go wrong. After a nationwide Internet outage in November, for example, the regime blamed rebels for the cut, while the rebels and international experts said the government pulled the plug. Some Damascus residents were skeptical over whether rebels had attacked the main power line, speculating that dwindling fuel supplies could have been behind the overnight blackout, with the government using the rebels as scapegoats. Also Monday, Syria's main opposition coalition said it had failed to select a prime minister or form a transitional government during a weekend meeting in Istanbul. The group, the National Coalition of Syrian Revolution and Opposition Forces, said in a statement that it had formed a committee to "complete the election of a prime minister" within the next 10 days. It also formed seven committees to deal with issues like diplomatic relations and aid to refugees until a transitional government can be formed. The group's failure to select a prime minister is likely to disappoint the United States and its other backers who pressed for its formation, hoping it would provide more cohesive leadership to those seeking to topple Assad. Hubbard reported from Beirut. A journalist contributed reporting from Damascus, Syria.